NEBAALAS is extending this event to all District 1 AALAS branch members. This lecture series will be available online, with additional content for those able to attend on-site (limited seating). 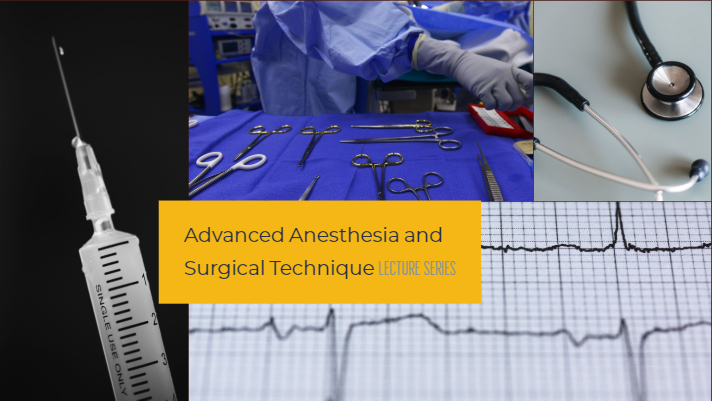 The advanced anesthesia technique lecture series will cover advanced monitoring concepts, troubleshooting and maintenance of anesthesia and monitoring equipment and responses to anesthesia complications. Online attendees will have access to the first five lectures while hands-on attendees will also have access to the hands-on anesthesia equipment tear-down and maintenance lab. The two advanced surgical technique lectures will cover lesser used techniques as well as species specific approaches to successful surgical outcomes. All attendees must be members in good standing with their local AALAS branch.